Chinese mobile payment transactions reached a record 81 trillion yuan ($12.8 trillion) between January to October 2017, driven by huge number of consumers and merchants who have looked to more convenient cashless systems. The 10-month total surpassed the 58.8 trillion yuan in mobile payment transactions on the mainland during the whole of 2016, according to the latest official figures from the Ministry of Industry and Information Technology. China’s latest tally dwarfs the estimated $49.3 billion in total mobile payment transactions in the US last year, according to data from eMarketer. China’s mobile payments boom has been powered by the fast adoption of online retail, financial and on-demand services, such as ride-sharing activities, in the world’s largest internet and smartphone market. “China is recognised as the most advanced market for mobile payments in the world, thanks to WeChat and Alipay,” comments Paul Haswell, a senior partner at international law firm Pinsent Masons. 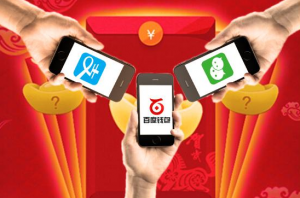 WeChat Pay and Alipay accounted for 93% of China’s mobile payments market, according to data from research firm Analysys International. Both WeChat Pay and Alipay have helped popularise paying for purchases made at POS by tapping, swiping or checking in with a smartphone, using the NFC feature built in the handset or the machine-readable optical label known as QR code. Many Chinese cities are now the closest we have to cashless consumer economies. The number of transactions made through non-banking mobile apps from 2013 to 2016 increased from 3.8 billion to more than 97 billion, according to data from the Payment and Clearing Association of China. Research firm eMarketer recently estimated that more than 61% of global mobile payment users this year will be located in China.